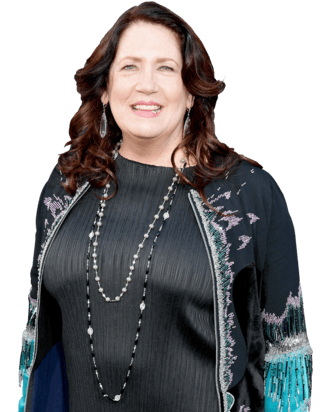 After plugging away in Hollywood for three-plus decades, Ann Dowd has found her place at the table among today’s most celebrated actors. When the 62-year-old arrived at last year’s Emmy ceremony, she was a first-time nominee with a pair of nominations to her credit: Outstanding Guest Actress in a Drama Series for her role as Patti Levin in The Leftovers, and Outstanding Supporting Actress in a Drama Series for playing Aunt Lydia in The Handmaid’s Tale. She walked away with the latter Emmy, which she’ll compete for again this year. Vulture recently caught up with Dowd to talk about the importance of loving one’s characters, the benefits of finding success later in life, and the right way to say Aunt Lydia’s name. First of all, congratulations on the Emmy nomination. Did hearing your name among this year’s nominees feel different than it did last year? I was in Australia, so the time for me was 1:30 a.m. when it would be announced, and I don’t have the nerve to listen. I don’t think I could take it. I didn’t listen last year, either. I had a 5 a.m. pickup the next morning, so I thought, “You’re going to bed at 9:30 or 10 and you’re going to sleep because you’re a full-grown adult and this is how we’re doing it.” I woke up a few times, but then I woke up at 2:20, and my friend had texted me. A big smile, and then off to sleep. About as lovely as it can get. Last year, you walked into the Emmys as a first-time nominee with two nominations. Terrifying or exhilarating? Both. Exhilarating until the moment arrives, and then you’re terrified. And then, of course, exhilarating. There’s nothing quite like winning that, I’ll tell you. Are you able to articulate what winning felt like? The sensation of that moment, I will never forget as long as I live. The rest of it around it is somewhat of a blur, but that actual moment is very, very clear in my psyche. It was just an extraordinary moment. And not overrated, let me tell you. In general, what is it that attracts you to a character? I would say their strength. What is it they want in their given circumstances. The writing, of course. I don’t have a set kind of person I like to play — there are so many interesting people and characters — but just the strength, and the singular purpose, and the complexity of where she might be coming from. Do you have to like a character to connect with her? As corny as this may sound, I think it’s kind of a love story, and that’s essential. I don’t think it can be a mediocre. I don’t think it works that way. I think it has to be all-in. It has to be cultivated, meaning a relationship that grows over time, and that begins without judgment. That’s huge. I’ll tell you about me, you tell me about you, and let’s see how we do. I find that thrilling, and I think it’s the case with this role. Aunt Lydia is often painted as the show’s villain, but do you think that’s too simplistic a label? You might say she’s also a woman committed to her beliefs and her faith and her job. Her perspective is quite different, of course. She feels that the world is lost. That the gifts God gave us — the beauty of nature, the wonder of babies — that has gone away. We’ve destroyed the very basic things we were given. I think she feels that it’s almost past repair, but not without hope. And she knows that unless she takes an extremely strong stance and approach, that the balance will not be righted. The Handmaid’s Tale has become a point of reference for many political conversations. Protesters around the world are dressing up like Handmaids, and even Margaret Atwood has weighed in. Do you feel that the political climate played a part in developing season two? I think the writers are not interested in echoing or mirroring what is going on in the present culture. They’re on their own story trajectory, but it’s fair to say that the goal might be to make sure people are paying attention, listening, and are awake rather than specific references to what is going on in the present. I think it’s more in general. You know, by the time you put your phone down, it was too late. It’s just that message. Stay alert. Stay active. Don’t let the small things go by. Look at what’s happening. Is there something special for you about finding such recognition you have now later in your career? Do you think that your approach to the success that you’re having would’ve been different had it happened 20 or 30 years ago? The benefit of having it happen later is perspective. I have a family and children I adore and a husband who’s wonderful. Knowing that there are ups and downs, even in a given day shooting a scene, and that you will manage it, I would say I feel more confident just because I can let certain things go. I had been a premed student, and the way you got through premed was to work extremely hard and then harder. That was my approach [to acting] early on, so what it did for a bit there was to take the joy out of it. I had to remind myself, “Darling, this is make-believe. This is play at its best.” So in this case, being older is a great gift, and I appreciate it immensely. The general consensus in Hollywood has always been that there aren’t a lot of great roles for women once they hit middle age, but that seems to be changing — in TV in particular. How do you think Hollywood is changing for women and older women in particular, if at all? As you said, there is more opportunity. There’s more content. More women are writing. More women are directing. These stories are interesting stories, and people want to see them. I think because there’s so much more opportunity, and women are so much more involved, it has to shift. With roles for older women and middle-aged women, there’s lots of interesting stuff in there — and it’s not as though it represents a very small part of the community of the world. It doesn’t. It’s got a large audience, and may it continue. Warren Littlefield dropped a spoiler recently when he confirmed that Lydia is not dead. Yeah, I was very happy to know that. Before I read the episode, Bruce Miller very kindly said: “She lives. Don’t worry.” That was very thoughtful. Because that happened in The Leftovers for a season, and I couldn’t believe it. I was crushed, and then suddenly, Patti was back. It was quite extraordinary. I’ve saved my most important question for last: You were born and raised in Massachusetts, as was I. And the show is set in Boston, where we pronounce “Aunt” as “ahnt,” not “ant.” So shouldn’t she be “Ahnt” Lydia? Oh, isn’t that funny? I say “Ahnt” Lydia, definitely. That is funny, honey. No one else has ever brought that up. I just figure, to each his own, but I quite agree with you. It should be “Ahnt.” And I’m going to make that point. It’s “Ahnt.” I’m going to make sure that gets cleared up. I appreciate that. And I look forward to watching Lydia school the Handmaids on their pronunciation next season. Though I do appreciate that no one is attempting a Boston accent. Oh yeah, that done poorly is a nightmare, isn’t it? It’s awful. A lot of us lose our accents later in life, usually intentionally, so there’s no need to attempt it. Yes, we do — and that’s a gift to the world.